HBO will air the Alex Lehmann directed documentary series, On Tour with Asperger’s Are Us April 30 to May 2. 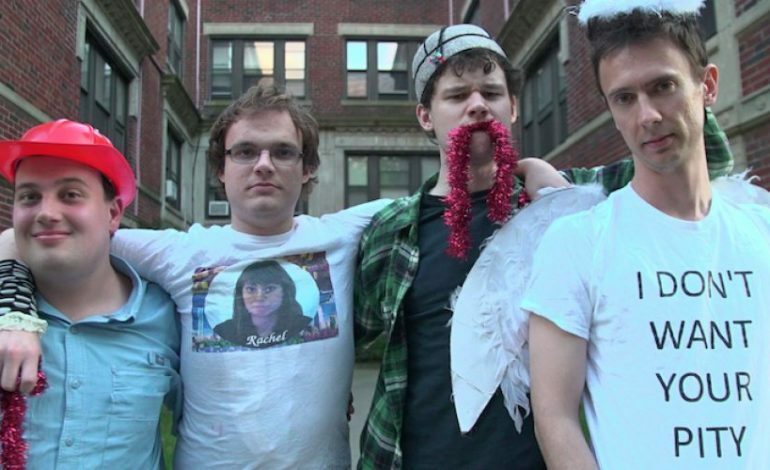 The documentary will be separated into six half hour episodes that follow the four man comedy troupe, Asperger’s Are Us. From executive producers, Mark and Jay Duplass the film follows the tour of the comedy troupe comprised of four friends is Aspergers as they embark on their most ambitious tour to date. Member Noah Britton, Ethan Finlan, Jack Hanke and New Michael Ingemi get on the road and throw themselves outside their comfort zones. Their six week journey extends from Boston to Los Angeles as they each share their unique perspectives on life as an “Aspie” and the community they’ve found in comedy. The documentary highlights the beauty and struggle of the four friends living together in an old RV. Asperger’s Are Us is the first comedy troupe composed entirely of comedians diagnosed with Asperger Syndrome. They foursome met in 2005 when Ingemi, Hanke, and Finlan attended a summer camp with Britton as their counselor. Since 2010, they’ve written and performed over 100 original sketch comedy shows in 9 countries, and done countless interviews with the national press. See the tour dates for the comedy troupe below and be sure to tune in to the HBO documentary series on April 30.